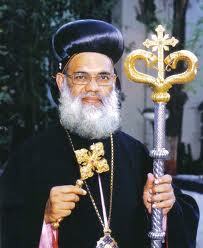 The Malankara Orthodox Syrian Church (Bombay Diocese) is set to celebrate the 1960th year of the advent of Christianity in India. Besides, it is celebrating the establishment of the Orthodox Church’s base in India 100 years ago. Orthodox Church is among the three prominent branches of Christianity, besides Catholic and Protestant churches. “While we too believe in Mother Mary, we only state that Jesus Christ was free of all sin,” said His Graceness Geevarghese Mar Coorlios, Metropolitan, Diocese of Bombay. Coorlios said the celebration will be held at St Mary’s School ground in Vashi on December 16 and will be open to all. The community will also announce some of its charity projects that include Rs100 crore schooling institution in Roha. “It will be open to all communities,” said Coorlios. The celebrations are to be attended by Maharashtra governor K Sankaranarayanan, state minister and Ganesh Naik.